Ghosts in Ireland of ladies tend to appear in a multitude of colours. 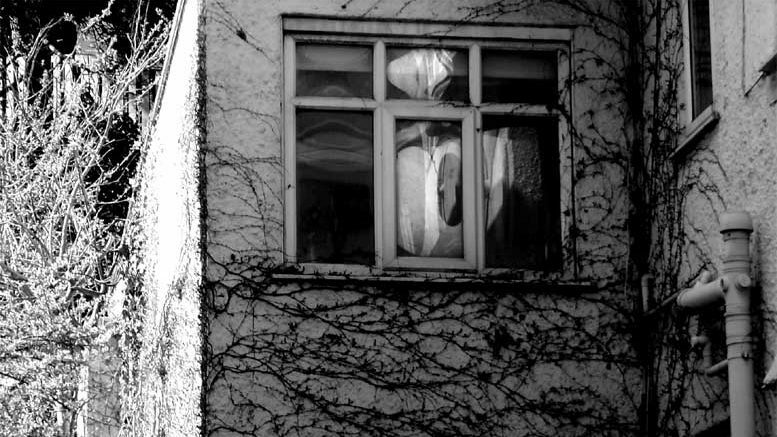 Mainly one reads of the Grey Lady or the White Lady or indeed Red and in the story the ghost of Carlingford Rectory. Carlingford Rectory is in County Louth and was built in the 17th Century, one of its first owners was the Stannus family, an ancestor of the famous ballerina Dame Ninette de Valois. It was bought around 1870 by the Church of Ireland to be used by the local rector. In 1960 the twenty-two room house had been bought from the church by the painter Ernest McDowell come 1963 it was still derelict. One hot September evening McDowell and his brother were at the house. McDowell was mowing the lawn while his brother worked in the nearby field. Glancing up McDowell spied a girl in a red velvet dress moving towards the front door and before he could see her face she disappeared. He recognised the dress as that of belonging to the Edwardian period. Looking around McDowell spotted a gentleman entering the gate wearing the high stiff collar of an Edwardian clergyman but as soon as he tried to get a good look he too disappeared. Convinced that this couldn’t be a coincidence and that the two visions must be connected McDowell decided to dig deeper. Records showed that an earlier resident, the Canon Meissner, had witnessed the girl in the red dress inside the house. His wife and daughter had heard footsteps on the back stairs when no-one else was in the house to make them. The daughter was also in a room and saw a door vibrate to the point of bursting, when it did burst open no-one was there the girls’ dog stared at the doorway and then turned and fled. Ernest McDowell was himself no stranger to psychic abilities and had heard footsteps in the house himself although he did not sense and sadness from the spirits themselves. The ghost hunter Hans Holzer took an interest in the house and tracked down Canon Meissner and his family in 1965, they had lived in the Rectory from 1935 to 1960 and had been witness to various manifestations. Mrs Meissner had told of a sea captain who had once lived in the house and been lost at sea. His ghost was meant to return on summer evenings appearing as a white mist going silently past. Another occasion they had been visited by Ninette de Valois sister when a young man also a guest declared her to be the exact image of a ghostly figure that had appeared in his room previously. Strangely enough when shown round the house the lady in question felt sure she had been in the guest room before despite this being her first visit to the rectory. No proof has ever been revealed of a sea captain having ever lived at the Rectory alive or dead but research carried out by Holzer who also used the services of famous medium Sybil Leek (1917-1982) discovered that McDowell was correct and that the two figures he had seen were connected. Leek stated that there had been romantic tragedy in the mid 19th Century involving the girl in the red dress and the clergyman which kept both their restless spirits tied to the house.